Costa Del Sol Holidays Free Child Places 2019 @Web2traveldeals. Online Since 2000. Finding the Best Value Holidays with Free Child Places Costa Del Sol from U.K. airports. Popular Costa Del Sol resorts include Benalmadena, Estepona, Fuengirola, San Pedro De Alcantara, Torremolinos. New Costa Del Sol Holidays Free Child Places 2020. Stop wasting time checking website after website, looking for Costa Del Sol Holidays Free Child Places 2019, only to find that the deal advertised has expired or does not exist. View Holidays Genuine Free Child Places: Costa Del Sol 2019. We understand from reading online reviews, how frustrating it can be for you, when searching for hours for Family Holidays Costa Del Sol, only to find that the headline deals advertised are only available in May or September or twice the price during the School Holidays. Costa Del Sol Holidays @Web2travelDeals is designed to save you time and money when searching for Free Child Places Costa Del Sol 2019. We regularly check with Top Tour Operators to find out which Costa Del Sol resorts have holidays from the UK to Costa Del Sol with Free Child Places School Holidays. This post Costa Del Sol Holidays Free Child Places 2019 shows you hotels and apartments which our team have visited to check that free child places were available during School Holidays, on the date that this post was updated. Atalaya Park Hotel, Polynesia Hotel, Holiday Village Benalmadena, Luca Costa Lago Hotel Torremolinos were among the many hotels to offer Free Child Places Costa Del Sol in past years. As First Choice are now All Inclusive the available places for Costa Del Sol Holidays Free Child Places 2019 has dropped considerably. Holiday Village Costa del Sol, BENALMADENA, COSTA DEL SOL, SPAIN. Get More Information, and claim your Free Child Place Holiday Village Costa del Sol, BENALMADENA, COSTA DEL SOL. Get More Information, and claim your Free Child Place Hotel Polynesia, BENALMADENA, COSTA DEL SOL. Get More Information, and claim your Free Child Place Bali Hotel & Studios, BENALMADENA, COSTA DEL SOL. Get More Information, and claim your Free Child Place Globales Cortijo Blanco, SAN PEDRO DE ALCANTARA, COSTA DEL SOL. Globales Playa Estepona, ESTEPONA, COSTA DEL SOL, SPAIN. Get More Information, and claim your Free Child Place Globales Playa Estepona, ESTEPONA, COSTA DEL SOL. Free Child Place Deals shown below are from previous years – Still to be checked for 2019. Free Child Places Globales Cortijo Blanco, San Pedro de Alcantara, Costa Del Sol. 3 star. Free Child Places Bali Hotel & Studios, Benalmadena, Costa Del Sol. 3 star. Free Child Places Hotel Polynesia, Benalmadena, Costa Del Sol 4 star. Free Child Places Globales Playa Estepona, Estepona, Costa Del Sol 3 star. 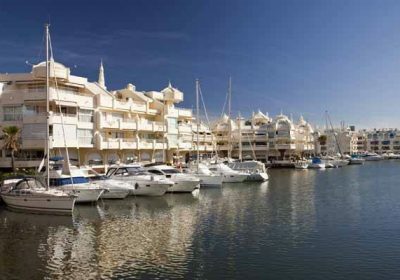 Best Triton Benalmadena, Costa Del Sol, 2 star, Half Board, from £1762.10 (family of 4) dep July. Medplaya Hotel Bali Benalmadena, Costa Del Sol, 3 star, Half Board, from £1498.92 (family of 4) dep July. Hotel Los Patos Park Benalmadena, Costa Del Sol, 3 star, Bed & Breakfast, from £1644.44 (family of 4) dep July. Sunset Beach Club Benalmadena, Costa Del Sol, 3 star, Self Catering, from £1525.20 (family of 4) dep July. Ronda 4 Apartments Fuengirola, Costa Del Sol, 4 star, Self Catering, from £1276.20 (family of 4) dep July. Fuengirola Beach Fuengirola, Costa Del Sol, 3 star, Self Catering, from £1366.24 (family of 4) dep July. Hi Hotel Gardenia Park Fuengirola, Costa Del Sol, 3 star, All Inclusive, from £1713.77 (family of 4) dep July. Luca Costa Lago Hotel Torremolinos, Costa Del Sol, 3 star, All Inclusive from £1611 (family of 4). Atalaya Park Hotel Estepona, Costa Del Sol, 3 star plus, All Inclusive from £1730 (family of 4). Holiday Village Costa del Sol Benalmadena, Costa Del Sol, 4 star, All Inclusive from £2144 (family of 4). Bali Hotel and Studios Benalmadena, Costa Del Sol, 3 star, studio, Self catering from £1363 (family of 4). Cortijo Blanco Hotel San Pedro De Alcantara, Costa Del Sol, 2 star plus, twin, All Inclusive from £1498 (family of 4). Polynesia Hotel Benalmadena, Costa Del Sol, 4 star plus, suite, All Inclusive from £2044 (family of 4). The above prices were taken from Tour Operators websites in April 2016 based on departure dates in Summer 2017 and include 1 free child place. Our experience has shown that the number of Free Kids Places in Costa Del Sol is generally limited and you should try and book as far in advance as possible to guarantee a place for your family holidays. View Costa Del Sol flight and hotel deals for holidays without free child places on www.web2travel.co.uk. Free Child Places Holiday Village Benalmadena.